First, there was a strawberry, then a pineapple and now an apple; actually two- one is bitten. I can't resist making fruit blocks. They look lovely. 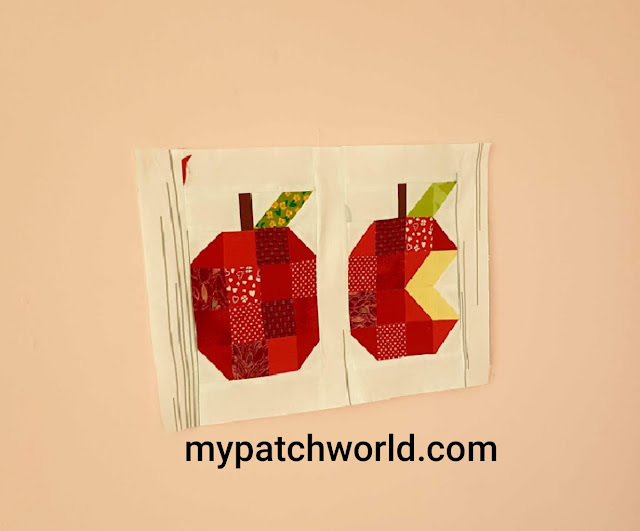 Sewing fruit blocks is fun and easy to make. There are tons of strawberry and pineapple blocks but I haven't seen many apple blocks around. So I made these two apple blocks, one is complete and the other is a bitten one. I like them as much as other fruit blocks. 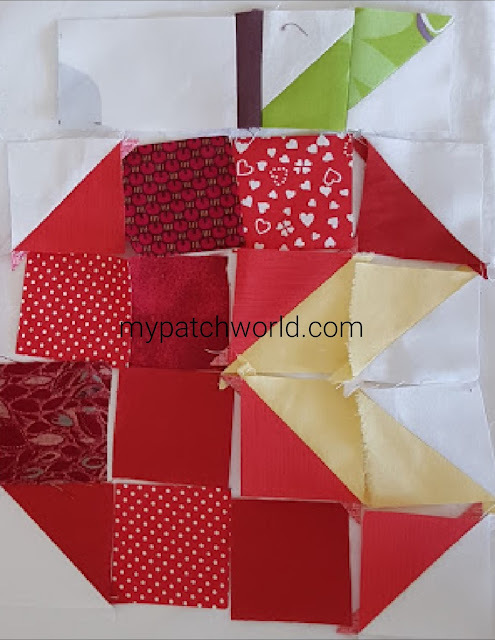 For a complete tutorial on how to make a fruit block, have a look at my Strawberry Block Tutorial where I explain how to make HSTs(half square triangles) in details with pictures. We will use the same technique while doing it. Here is how to make the apple block. First of all we start with half-square triangles. Layer a 2.5" white square and a 2.5" red square right sides together. Draw a line along the center. Using a 1/4" seam, sew on both sides of the line. Cut along the drawn line and press the seams open. 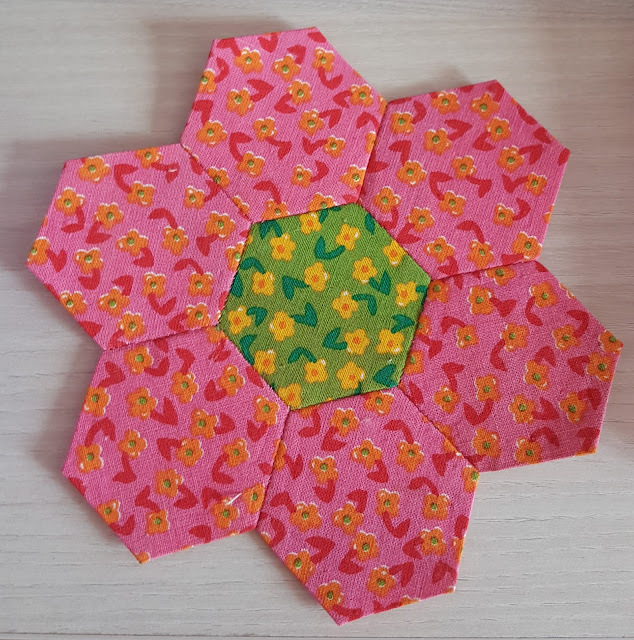 Make a total 8 white/red half-square triangles, 4 total green/white half square triangles, 2 total red/yellow HSTs and 2 total white/yellow HSTs. 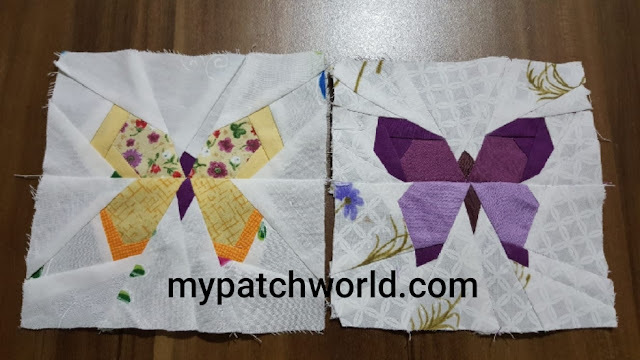 Sew brown and white rectangular together. Make a total two white/brown rectangular. To finish the complete apple, sew HSTs, squares and rectangles together in 5 rows. The layout below will help you figure it out. Press the seams open. Sew the rows together to form the apple. Press the seams open. 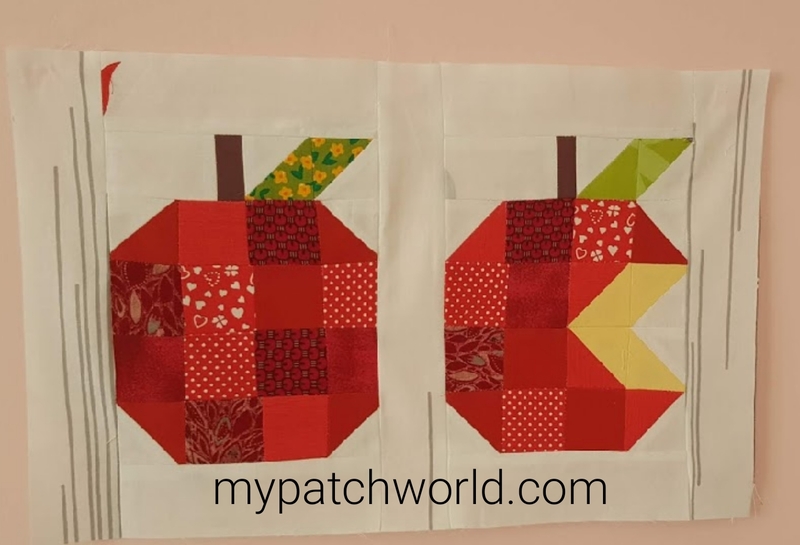 When you finish sewing two apples together, using white strips of fabric, sew the apples together. 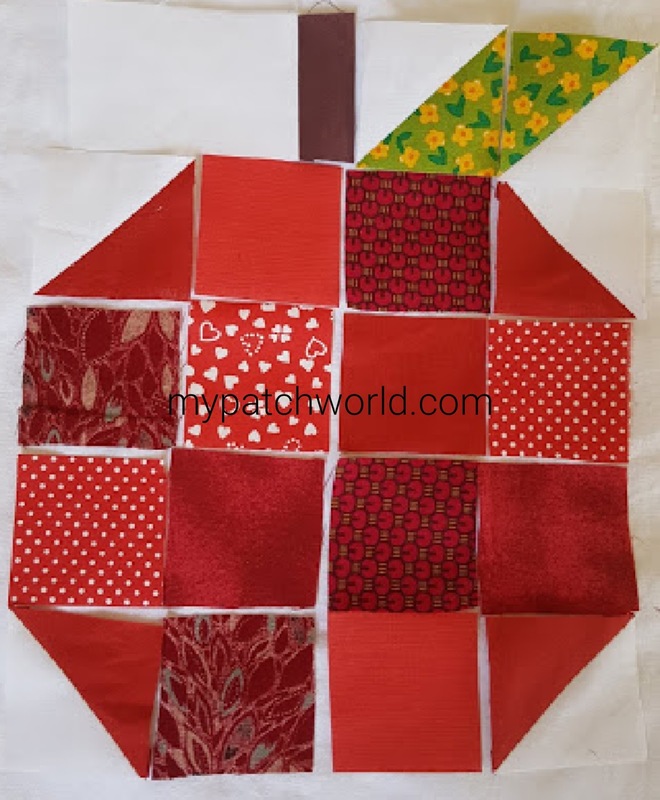 You can turn this apple block into a mini quilt. How about a table placemat? A Strawberry, a pineapple and now two apple blocks are put aside. 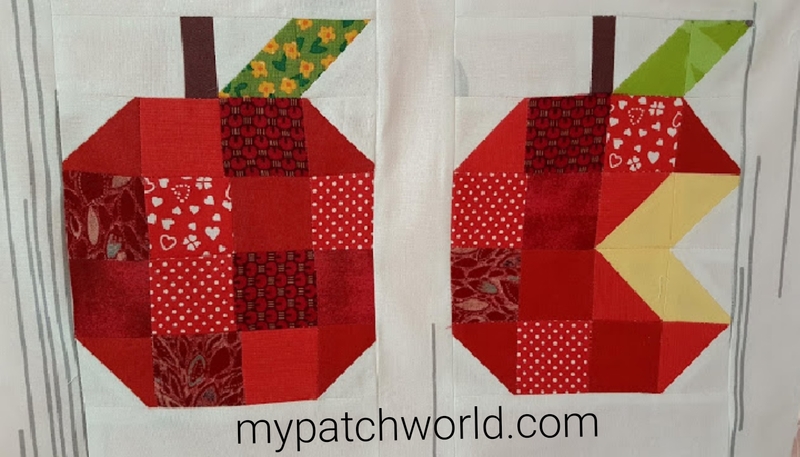 I am planning to go for more fruit blocks and turn them into a quilt. It will be coming soon. I hope you enjoy my tutorial.